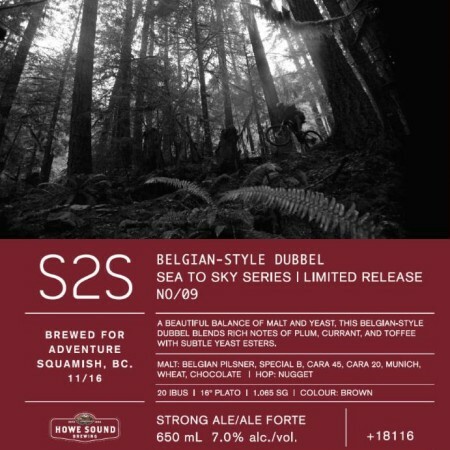 SQUAMISH, BC – Howe Sound Brewing has announced the release of the latest in the Sea to Sky Series of limited edition seasonal beers. One of my favourite Belgian styles of beer. A Dubbel really combines the best elements of malt and yeast beautifully. It has layer upon layer of complexity as you pick up notes of chocolate, roast, and plum from the malt as well as subtle yeast esters that tie in to make the beer balanced and delicate. S2S Dubbel is available now in 650 ml bomber bottles at select liquor stores in British Columbia.